The owner of the Raging Demon, the master of the Satsui no Hado, the demon himself, Akuma has been announced as a playable character in Bandai Namco's upcoming Tekken 7: Fated Retribution and I'm excited for it. Now who expected this? In an age where technology has advanced so far and leaks on big releases have become a common thing, it was amazing to see the internet react the way it did when Katushiro Harada - the father of the Tekken series dropped this bombshell on everyone. 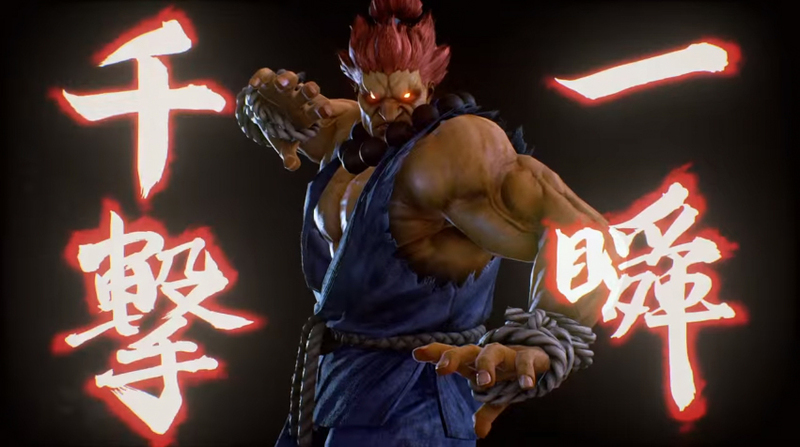 No its not a trick and yes its not the 1st April either because the Street Fighter Demon, Akuma is making his debut in the upcoming Tekken 7 and he looks absolutely glorious. Guest appearances by characters in other games is not uncommon, however it looks like Akuma here has been fully integrated into the story in a major way. Set several decades before, Akuma promises to kill Heihachi and Kazuya in the future as a way of repaying his debt to Kazumi Mishima. Somehow she foresaw all the madness and destruction Heihachi would cause and left Akuma as the final force to stop him. Honestly I was wondering why Akuma wasn't announced for the soon to be released Street Fighter V roster, heck even as part of the DLC characters, the master of the Satsui no Hado was missing and well... this seems to clear things up. Of course that's not saying he won't be available later down the line, but its interesting to see the character making an appearance away from the franchise that made it iconic. But hey, that's enough about Street Fighter V, we are here for Tekken 7: Fated Retribution! While Akuma's inclusion blew the mind of many (including my own) it was also interesting to see how a Street Fighter character would look as part of the Tekken playstyle and perhaps, this small look is something of a teaser when thinking about what we could expect from Tekken X Street Fighter. So how does Akuma look in the Tekken engine? Well to put it simply he looks absolutely badass, to the point where I began wondering why the character wasn't represented this way once gaming technology came up to par, as it just oozes evil, other than the fact that visually the game is mighty impressive anyway. Gameplay wise, we see most of the moves that we expect from Akuma including the air fireballs, hurricane kick, teleport and what looked to be actual EX versions of some of his attacks, most noticeable by the dragon punch he performed. He also has his most special and devastating move, the Raging Demon. This may make the character sound overpowered, however as with Tekken gameplay, you can sidestep and avoid the fireballs which I assume is done to keep things balanced, also his jump arc has been adjusted to fit within that perspective as well.